The Shelton Valley 2-Day Fun Run Flyers are out. 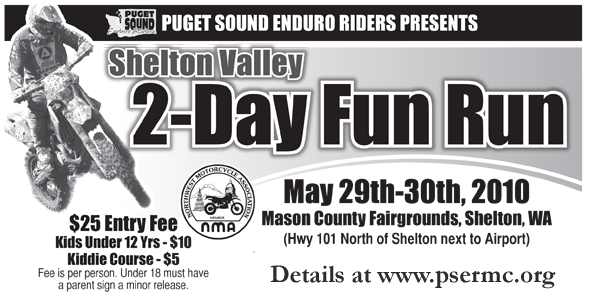 Get all the details on this great PSER NMA poker series event at the Shelton Valley 2-Day Fun Run web page. Everything you need to know to get this event on your calendar is here. Print out the flyer and get the entire family signed up today. There is free dry RV camping; so be there!